Spots fill-up quickly! Register your appointment today! 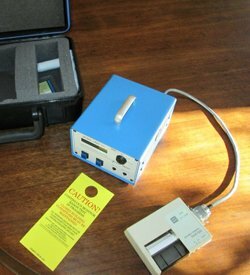 Lets face it, Radon Gas and its impacts are well documented and more home owners and home buyers in the Asheville and Boone areas are becoming aware of how easy it is to perform radon testing. They are also becoming more aware of the treatments and radon mitigation services for removing, or at least lowering, the levels of this very harmful gas. The videos below from the EPA might help introduce you to Radon Gas and Radon Testing. Inspector Nation is the first ISO certified (ISO 17024:2012 compliant) and nationally recognized trainer for radon inspectors. As radon becomes a more recognized concern for the interior air quality of your home and health and safety of your family, there became a need to make sure that all radon inspectors were testing appropriately and providing accurate and timely test results. 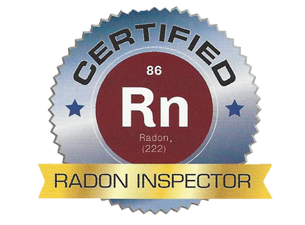 At Mountains To Sea Inspections, we are proud to announce that all of our home inspectors have attended these certification classes and that 100% of our inspectors have become Certified Radon Inspectors. Make sure before you have your radon test performed at your home that you certify that your home inspector is a Certified Radon Inspector. Radon testing only takes 48hrs and could save your life. Radon is a cancer causing, radioactive gas. You cannot see radon gas, and you cannot smell radon gas. But for many areas of the country it is ever present, Buncombe, Henderson, Madison, Haywood & Ashe Counties in NC are just a few of the areas affected by radon gas. 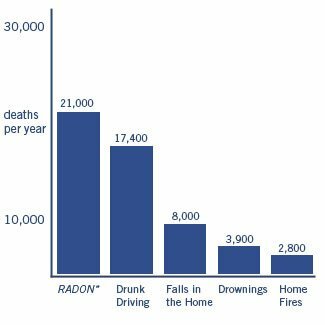 The Surgeon General has said that radon is the second leading cause of cancer in the United States behind cigarette smoking. That is because breathing in air with higher concentrations of radon gas can cause cancer. 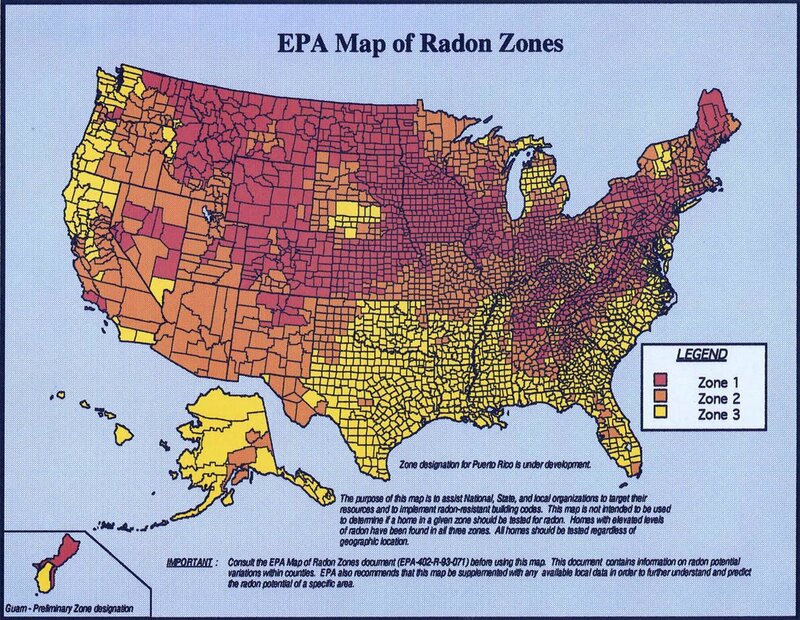 Radon is a radioactive gas that is formed through the natural decay of uranium that is found in nearly all soil types. Typically radon gas moves up from the ground through cracks or other fissures in your homes foundation. 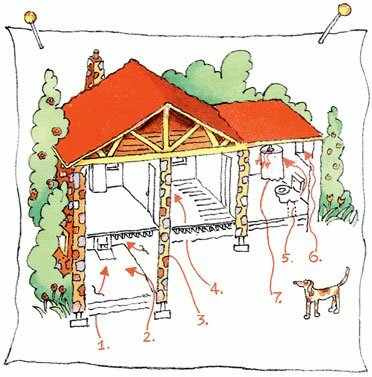 Your home then traps this radon gas allowing for the concentrations to increase. Remember you are probably never going to eliminate radon gas, but you can certainly keep radon gas to low concentrations. The quickest way is through short term testing devices, which usually stay in the home for a period of 48 hours or more. The test themselves can vary from “charcoal canisters,” “alpha track,” “electret ion chamber,” “continuous monitors,” and “charcoal liquid scintillation” just to name a few. We use Femto-Tech Continuous Radon Monitoring Equipment to make sure that we can provide you the most accurate readings for your short term radon gas test in Asheville. The U.S. Congress is pushing to see that radon gas is completely removed from a home’s interior air column. While this is not a technically achievable goal, most homes today can be reduced to below 2 pCi/L or below. Keep in mind that it is estimated that the average home has a radon gas concentration of approx. 1.3pCi/L and that about .4 pCi/L of radon is normally found in the outside air. The current threshold for radon gas concentration is 4 pCi/L. Any concentration recorded above this limit should be mitigated for immediately. Even if your home’s radon concentration is below 4 pCi/L, you may want to test again since short term test results can fluctuate based on environmental and climatic variations. Are There Other Sources of Radon Gas?